One of my favorite parts of the holiday season is gathering together with friends and family to reconnect and celebrate at the dinner table. However, for new vegetarians, the task of planning the family dinner seems a little daunting. Below is a recipe for an easy-to-make dish that even your meat-loving family members will enjoy. Try it out and tell us how it goes in the comment section below. Preheat oven to 350°F. 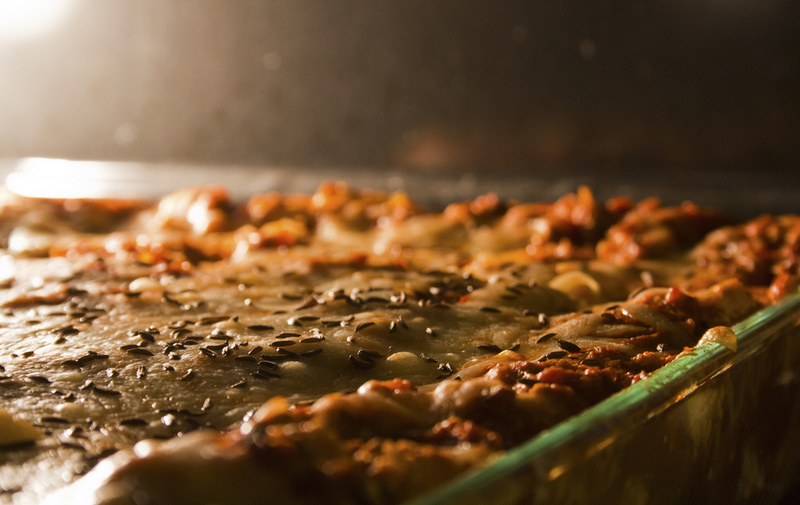 Coat the 13 x 9 x 2-inch baking dish with nonstick cooking spray. In a medium bowl, stir the ricotta, parmesan, and egg together. Spread 1 cup of the pasta sauce over the bottom of baking dish. 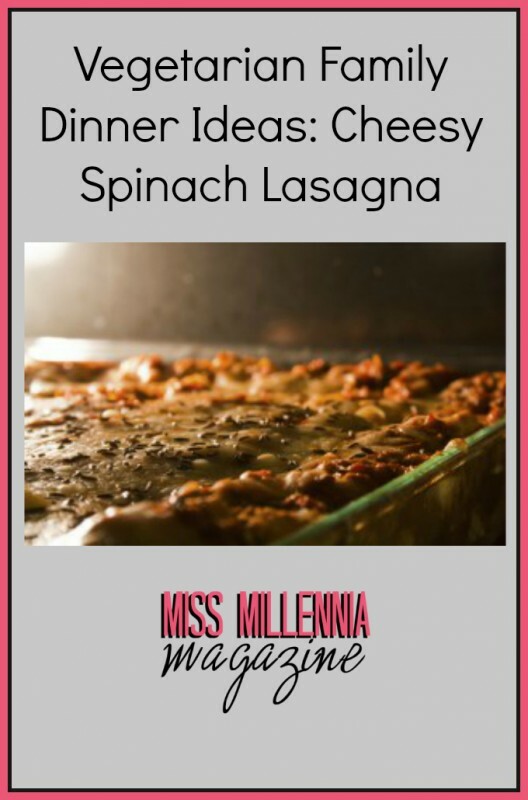 Arrange 3 lasagna noodles side by side in the dish. Spread 1 1/4 cups of the ricotta mixture over the top of noodles. Top the noodles with a third of the spinach and repeat layering two more times with sauce, noodles, ricotta mixture, and spinach, in that order. Top the final layer with remaining 3 noodles and spread the remaining 1 cup sauce over the top. Gently press the lasagna noodles down into dish, so the sauce comes up around sides, then cover the dish with foil. When you are finished covering the dish, bake it for 35 minutes, uncover it, and then sprinkle the top with mozzarella. Bake the dish again until the cheese is melted and the filling is bubbly (usually this only takes about 10 minutes). Let it sit for 10 minutes before cutting into rectangles and serving. Enjoy! If you would like more tips and advice about vegetarianism, check out my book The Beginners Guide to Becoming a Vegetarian, on Amazon.